Energy Warriors learn to draw on something deeper during impossible times. It is not what happens to you that defines you, it is how you manage it. Calm and clarity come through finding balance. This is a journey to inner strength. Master Lawrence Tan presents an introduction to the ancient art of Qigong, traditional Chinese life force exercises, for health and healing. Learn to relax and de-stress by aligning breath, movement, and awareness. The standing and moving meditations include TanDao’s signature exercise, the Universal Form. 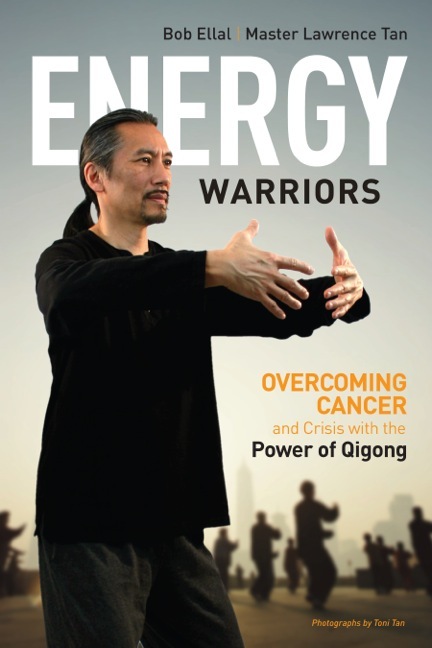 “Energy Warriors, by Bob Ellal and Master Lawrence Tan, is a tremendous look into the experience of a four-time cancer survivor (Ellal) and his personal experiences in surviving one of the modern world’s most dreaded diseases with the aid of Qigong. Ellal writes about his innermost feelings as a cancer patient and the private battles fought in the hearts of his family. His story does not mince words about the suffering associated with the disease, but it also shines an unflinching light of hope on the future for cancer patients through Qigong. The Energy Warriors book was very inspiring and I loved the practices in the book. I was hoping you would put a demonstration of each of exercises in the bookon your website. I was also wondering if it would be better to do the qigong exercises before my martial arts training or afterwords. learnt eve by a layman. Thanks for the great knowledge unfolded.